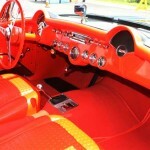 Some examples may not pertain to Corvette, this is a general article on weatherstripping. Tinware: new weatherstripping, weatherstripping adhesive, weatherstrip remover (aerosol can). Tip: If you happen to break or lose a plastic retainer during installation, try using 3M weatherstrip adhesive in its place. The glue is super tacky and forms a lasting, watertight seal. 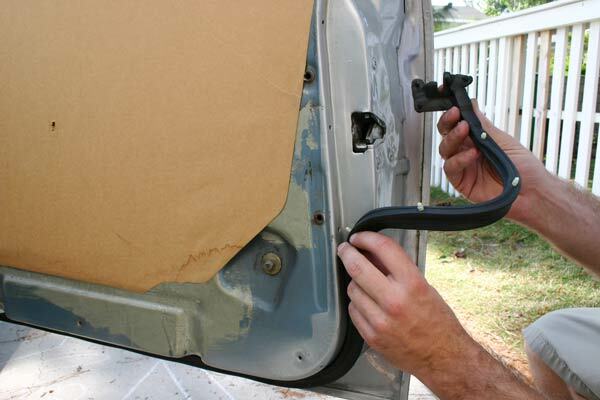 Whenever setting out on any restoration, we all know that new weatherstripping is a must. It can make the biggest difference in the look and feel of your interior. It also serves as a barrier to keep out the harsh outdoor elements. If you have ever driven a car home from the paint shop with absolutely no weatherstripping in it, you know what I mean. Unfortunately, the stuff is just plain old rubber and has no defense mechanisms against the sun, rain, or chemicals (not to mention time). 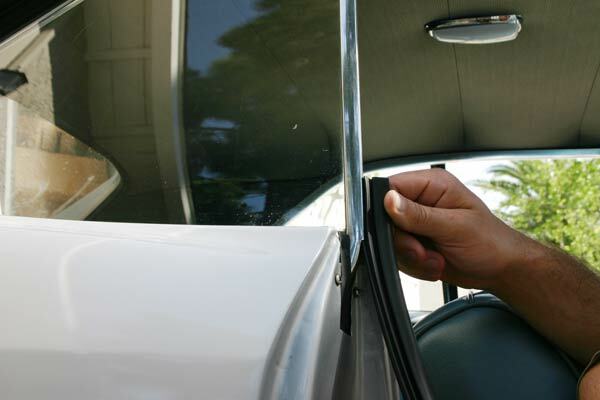 Lucky for us, replacing most weatherstripping is a walk in the park. The main items? 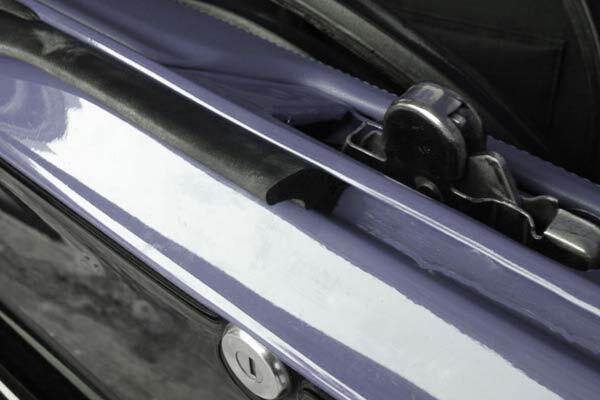 Door seals, roofrail seals, window felts, quarter glass seals, vent window seals and trunk seals. Most of these are readily available for just about any classic GM vehicle. Eckler’s offers these seals and more in conveniently packaged and discounted kits. What more can you ask for? You can literally replace every rubber seal and bumper on your car, all for few hundred dollars (in most cases). The plastic retainers in the seal are simply inserted into the factory-drilled holes in the door shell. 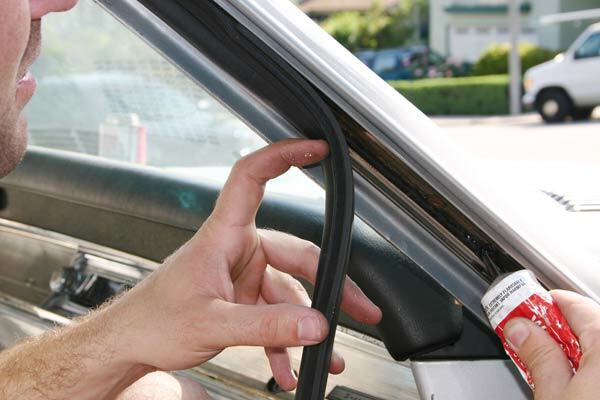 Door seals are some of the most commonly abused and replaced pieces of weatherstripping. On hardtop cars, they wrap around the body of the door in a large “U” shape form. Inside the seal are small, plastic push-in retainers that line up to pre-drilled holes in the door frame. On both ends of the seal is a molded rubber “head” with removable retainers. Starting at the front edge of the door towards the dash, insert the retainers through the seal and into the frame. 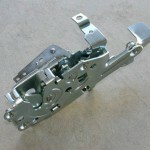 As you move down the door, lock each retainer into its corresponding hole. You may need to stretch the seal in some places for all of the retainers to properly line up. The seal will loop around the bottom of the door and back up to the other side of the window opening. Again, attach the head of the seal to the door frame, and you’re done! On post cars, the door and the window have a full frame. The seal works in a similar fashion, but is a one piece “O” shape. The quarter glass weatherstrip slides right up into the track of the window. Quarter glass seals are even easier. This is a small, vertical piece of weatherstripping that measures approximately 12” in length. On one side of the seal is a molded groove and lip that is designed to slide up into the quarter glass window frame. The chrome vertical molding that adorns most quarter glass windows houses the track in which the seal slides into. They basically slide in and slide out. However, they can put up a fight. 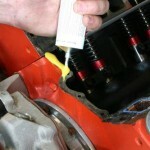 If necessary, the seals and the track can be lubricated with grease, oil or even hand soap. This will normally get them moving. After the seal is fully installed to the top of the track, there may be excess length at the bottom that needs to be cut off. The seal has a rounded taper at the lower end to allow it to enter into the quarter panel when the window is rolled down. 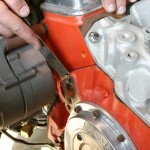 If you need to hack the bottom of the seal off, this taper can easily be made with a utility knife. The seal should sit firmly in the track and overlap behind the door glass. It’s a good idea to lay a down a little adhesive behind the roofrails seals. The roofrail seals complete the door opening/side window weatherstripping. These seals are long, straight pieces of rubber with molded channels in both the front and backsides of the seal. They install into the upper run channel that both the door glass and the quarter windows roll up into. The channel starts in the forward opening of the door frame (just above where the front door seal head is installed). It follows the “A” pillar upwards and proceeds along the roof to the rear of the quarter glass opening. The backside of the seal is channeled to mate with the roofrail track, whereas the front of the seal provides a recessed groove to cover the tops of the windows. Although the seal is pinched in place by lips of the track, it is recommended to glue the seal with weatherstrip adhesive for added strength. When installing trunk weatherstripping, make sure the lip is facing outside the car. The look and design of weatherstripping will vary from car to car, but the overall approach is the same. Buy quality products and take your time installing them. Obviously, you’ll have some fresh, new protection from the elements. But, you’ll also have a car that sounds vault-solid when you shut that door or trunk lid! Keith – here is a link to our story on fixing paint blemishes and wet sanding. What you are interested in is mostly contained at the bottom of the article. I have a 1989 C4 convertable with the 4 speed automatic in near perfect original condition. There was a shudder in the drive train when accelerating from any steady state speed. I spoke to the Corvette specialist any McCluskey Chevrolet in Cincinnati and he said it was most likely the torque converter. He recommemnded a transmission flush and also adding a friction enhancer as the clutches probably had some wear. After the flush and addition of the enhancer the shudder is gone and the car performs as new. I have a 1992 C4 and it shudders when you accelerate. I am going to try this thank you.